Founded upon more than a century of civil bloodshed, the first imperial regime of ancient Rome, the Principate of Caesar Augustus, looked at Rome's distant and glorious past in order to justify and promote its existence under the disguise of a restoration of the old Republic. In doing so, it used and revisited the history and myth of Rome's major success against external enemies: the wars against Carthage. 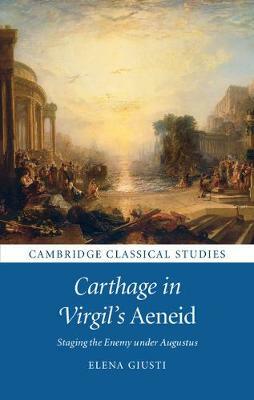 This book explores the ideological use of Carthage in the most authoritative of the Augustan literary texts, the Aeneid of Virgil. It analyses the ideological portrait of Carthaginians from the middle Republic and the truth-twisting involved in writing about the Punic Wars under the Principate. It also investigates the mirroring between Carthage and Rome in a poem whose primary concern was rather the traumatic memory of Civil War and the subsequent subversion of Rome's Republican institutions through the establishment of Augustus' Principate.